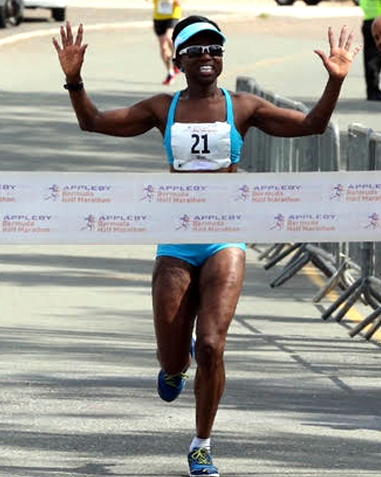 We now enter the homestretch for the Bermuda Day Half Marathon Derby, which will take place on Friday May 25th. We have given the Men’s section coverage, but today we look at the Female field. This year will see the race a toss-up, with several names being thrown around, names such as Gayle Lindsay, Martina Olcheski-Bell, Christine Dailey, past champions Vioctoria Fiddick and Deon Breary. There have not been many races of distance this year, but other names being thrown around is also Rose-Anna Hoey and Nikki Butterfield.